Virginia was the capital of the Confederacy. The Confederacy perpetuated the brutal inhumanity of slavery. When the Confederacy lost the Civil War and the institution of slavery, lynching and Jim Crow followed. Much has changed in race relations over the decades for the better, but Virginia continues with an insufficiently humane criminal justice system that forces a jury (that will recommend a sentence) on defendants, even if that jury may be more racist than the judge; still denies defendants the right to Jencks evidence/statements of opposing witnesses; and even deprives litigants of recorded District Court proceedings unless they arrange for the recordation themselves. 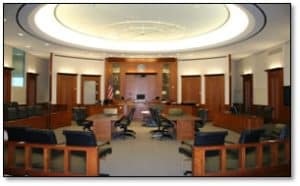 Yet, Virginia law provides criminal defendants the magic of the statutory speedy trial rule that focuses on elapsed time, where the federal speedy trial right balances that by looking at the prejudice from any trial delay. Congratulations to Lee Antonio Turner, who this week got his felony assault conviction overturned because the Commonwealth/prosecution failed to get his trial set within five months after his preliminary hearing where probable cause was found. Praised be Turner’s lawyer for (1) correctly counting that the then-continuously jailed (pretrial) Turner’s trial date exceeded that five-month and (2) putting his objection to that delay on the record. And get this: ‘A defendant does not waive his right to a speedy trial merely because he remains silent or does not demand that a trial date be set within the prescribed period. '” Turner (citation omitted). The great outcome in Turner arises not from any woolly-headed liberal Virginia appellate judges, but instead a faithfulness to the letter of the law and consistency in Virginia speedy trial jurisprudence. Hi Mr Katz, are you still practicing in Virginia? Yes. I am headquartered in Fairfax, Virginia, have a satellite meeting office near the Arlington courthouse, and have been defending in Virginia for twenty years.